The government, in partnership with industry, has committed to spending more than US$8m on funding trials of innovative energy-saving devices, such as state-of-the-art propellers. 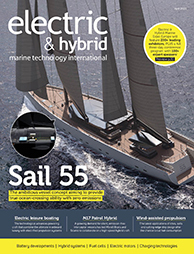 onboard waste heat recovery and rotor sails that use wind power to cut fuel consumption. 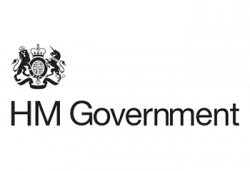 In addition to funding trials, the UK Government is now providing technical backing and expertise through the Maritime and Coastguard Agency for the following projects: work in Scotland to prove the use of hydrogen fuel cells for ferries in the UK; and Caledonian MacBrayne Ferries’ ongoing work to deliver innovative vessels such as hybrids, and its longer-term efforts to prove the use of innovative propulsion and fuels for the next generation of ferries. By 2025, the UK Government expects the majority of new ships to be 30% more efficient than current designs. Reportedly, maritime transport emits around 1,000 million tons of CO₂ annually worldwide, and is responsible for about 2.5% of global greenhouse gas emissions. If emissions from international shipping are not addressed, studies suggest they will account for almost a fifth (17%) of global emissions by 2050.